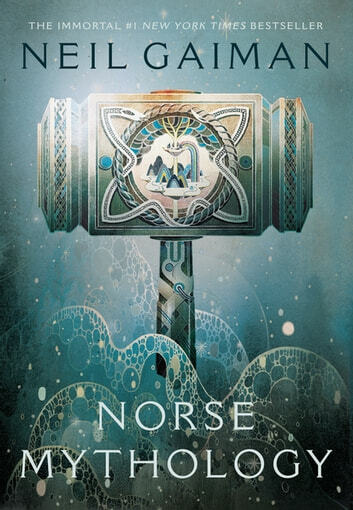 Neil Gaiman, long inspired by ancient mythology in creating the fantastical realms of his fiction, presents a bravura rendition of the Norse gods and their world from their origin though their upheaval in Ragnarok. In Norse Mythology, Gaiman stays true to the myths in envisioning the major Norse pantheon: Odin, the highest of the high, wise, daring, and cunning; Thor, Odin’s son, incredibly strong yet not the wisest of gods; and Loki—son of a giant—blood brother to Odin and a trickster and unsurpassable manipulator. Gaiman fashions these primeval stories into a novelistic arc that begins with the genesis of the legendary nine worlds and delves into the exploits of deities, dwarfs, and giants. Through Gaiman’s deft and witty prose, these gods emerge with their fiercely competitive natures, their susceptibility to being duped and to duping others, and their tendency to let passion ignite their actions, making these long-ago myths breathe pungent life again. 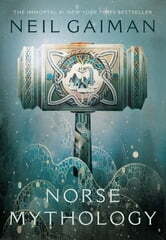 Good if you're interested in mythology, this book is full of short stories about the gods of a Norse mythology. Great revisiting of these wonderful stories. Norse Mythology has had a huge impact on modern culture and fantasy. It inspired JRR Tolken and he drew heavily from it. I loved these tales as child and it was great to come back to them. The author has breathed new life into the stories while remaining true to the source material. I highly recommend this book. Sit back and enjoy these stories, while you imagine hearing them around a fire under the Northern border lights. A well researched book of the epic stories of the Scandinavians. It explains the great adventure of the great viking gods!! I enjoyed reading thw myths, legends and fables with Neil's flavor and cadence.